Sanwa's retains their line of popular quiet levers such as the JLF-TPRG-8AYT-SK Silent Microswitch Joystick. Their latest model - JLF-TPRG-8BYT-SK - instead gives players a bit more tension during play. Higher tension springs such as the 2lb Tension Spring for Sanwa JLF or 4lb Tension Spring for Sanwa JLF have remained quite popular since their debut. The JLF-TPRG-8BYT-SK instead offers crisp tension directly from its new microswitch - the Omron D2RV-G-SD3. 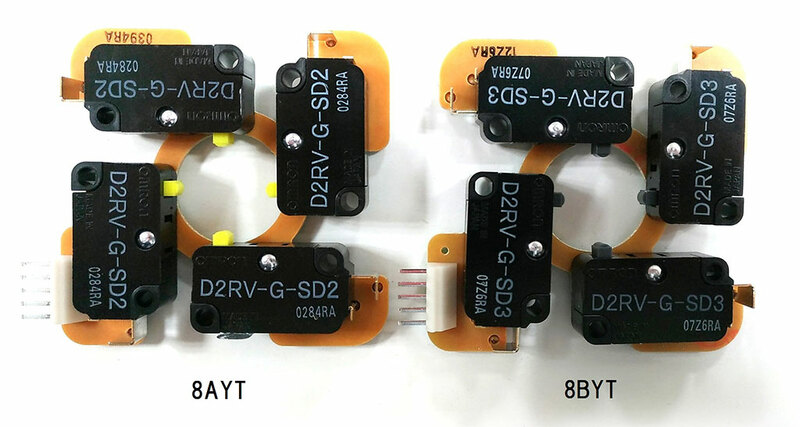 The D2RV-G-SD3 microswitch features a spring with a stronger repulsive force. This means that the joystick lever shaft can return to neutral faster than the 8AYT. That said, the feeling does not stray far from Sanwa's renowned JLF-TP-8YT joystick lever, meaning there is little to no learning curve. In a competitive environment such as Fighting games, players are always looking for that slight edge to improve their gameplay. But there also exists those who want to tailor the gameplay to their preferences. Sanwa plans to support both the lighter-tension JLF-TPRG-8AYT-SK and JLF-TPRG-8BYT-SK models together. Also important to note is that aside from the new D2RV-G-SD3 microswitch, the JLF-TPRG-8BYT-SK has the same functionality and cosmetic appearance as the older 8AYT model. Familiarity was the direction Sanwa took with the JLF-TPRG-8AYT-SK, and the updated 8BYT model. Installing the lever is as simple as the reliable Sanwa JLF-TP-8YT Joystick. Sanwa's blue restrictor plate is designed to as a single piece for precise control. The restrictor plate can eliminate the slight wobble present in the original GT-8F's separate pieces - the insert and gate itself. Please note that because of the single mold design, this gate is not compatible with the JLF GT-Y Octagonal Restrictor Plate Insert. That said, those looking for octagonal control can still install the Sanwa GT-Y Octagonal Restrictor Gate onto this joystick. I was really worried about the "silence". Thru years with arcade sticks, I've come tor really enjoy the "click" of standard switches. Worth the price for a replacement stick.